There are many self-improvement programs in the world today. You can increase the power of your mind and improve your memory. You can exercise and improve the shape of your body. You can learn public speaking and learn how to win friends and influence people. You can learn how to invest your resources to improve your bottom line. There are many, many programs to help us improve ourselves. I’m all for improving myself! Lord knows, I need an awful lot of improvement in many areas of my life. 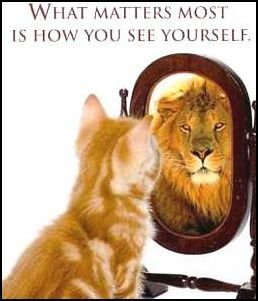 But when it comes right down to it, it’s how I see myself that really matters most. In order to become a better person I need to see a better person. This is the message that Jesus brought to Zacchaeus. Jesus noticed him. Of all the people in the crowds where Jesus walked, he noticed him. I can’t point out often enough the truth that this teaches me. Of all the people in the world, over 7 billion, no matter how small I am, God notices me! God notices you! But he also knows me and you. Just as Jesus called Zacchaeus by name, so too does Jesus call us by name! No matter how anonymous we feel in this world we are intimately known and loved by God. Further, no matter what we’ve done in life, God wants us. I love to present the good news to people about God’s love expressed to them on the cross of Calvary. I love to tell people that through faith in Jesus Christ, God forgives all their sins. Sometimes someone will say to me, “Well, that’s easy for you to say. You don’t know what I’ve done.” I like to remind them that although that’s true, God knows it all. And He wants you anyway. When this truth sank into Zacchaeus’ mind and heart, the bible tells us that he received Jesus into his life “joyfully” and then he exclaimed, “Behold, Lord, the half of my goods I give to the poor. And if I have defrauded anyone of anything, I restore it fourfold.” I’ve heard sermons from this passage on the necessity of giving to the poor and returning things that we’ve stolen. To me, that totally misses the point. It’s the joyful reception of God’s love and acceptance that made Zacchaeus want to be a better person. God’s love taught Zacchaeus how much he mattered to God and that love and acceptance is what changed him and made him want to become all that God saw in him. Exercise “profits little” Paul said. But that phrase means that it does profit some. The word little means “for a short time.” But life change as result of understanding how much I mean to Goes on and on. We must see ourselves through the eyes of God’s love.